SIRIUS (Scientific International Research In Unique Terrestrial Station) - is a series of joint isolation experiments by Russia’s Institute of Medico-Biological Problems and US NASA to study psychology and working capacity of human beings in long space flights, primarily to the Deep Space Gateway lunar orbiter. Participants of the experiment are to spend between 17 days and one year in total isolation. "Yevgeny Tarelkin is an experienced cosmonaut and a wonderful engineer. He gave his consent to take part in the four-month SIRIUS experiment and to become the commander of the mission," Belakovsky said. Tarelkin was born in 1974. In October 2012 - March 2013, he spent 143 days 16 hours and 15 minutes aboard the International Space Station (ISS). Belakovsky said that as of today, 48 people have submitted their bids to take part in the experiment. Eight of them are employees of Russia’s Rocket and Space Corporation Energia, about 10 - of the Institute of Medico-Biological Problems. The international crew of SIRIUS will have an equal male-female representation at best, or two women at least. "We opted against selecting participants in an open contest. First of all, we want to select highly professional specialists from the space industry, such as the Cosmonaut Training Center and RSC Energia. The Russian side insists that the participants of the experiment should be aged between 25 and 55 years, but NASA wants to lower the age threshold to 30 years," the Russian scientist said. So far, no agreement was reached on how many candidates from NASA will take part. The US side is now searching for volunteers, including candidates from other states. "Besides, bids have been received from candidates representing France, India, Belarus and Japan," Belakovsky said. "Moreover, NASA believes that candidates that have little experience should also take part in the project to see how they react to such an aggressive environment. But this issue is being discussed, and we are looking for balance. The Russian side believes that participation of totally inexperienced people will put the safety of the experiment into question," he added. In total, between 12 and 14 participants will be selected. Six of them will comprise the main crew of the four-month isolation experiment, the backup crew will later take part in the eight-month experiment. "We want to determine the make-up of the crew by September 15. A medical commission will convene shortly after, and then a mandate commission will select 12-14 participants who will be trained for the project. By October, we will select from six to eight people who will undergo specific training," the Russian scientist said. A two-week trial run "with doors half-open" will be held in late November to help participants familiarize themselves with the facility, where the experiment will be conducted. "The experiment itself is planned to begin in late January - early February next year," Belakovsky said. The first in the series of joint Russian-US experiments called SIRIUS was held in November 2017 and lasted 17 days. The crew comprised representative of Russia’s Energia Rocket and Space Corporation Mark Serov, test cosmonaut of the Cosmonaut Training Center Anna Kikina, Airbus representative Viktor Fetter (Germany) and three IMBP employees: Ilya Rukavishnikov (the crew’s doctor), Yelena Luchitskaya and Natalya Lysova. The crew conducted over 60 various experiments. The IMBP’s short-term plans envisage holding a four-month isolation experiment scheduled to begin in late January 2019. The research will be conducted on the Institute’s premises. Similar experiments, lasting eight and twelve months will take place later, but their date and venue is yet to be determined. As specialists say, during the four-month isolation experiment the crew will practice a flight to the Moon. The mission's main goal will be to choose an area for the future construction of a base on the Earth’s satellite. 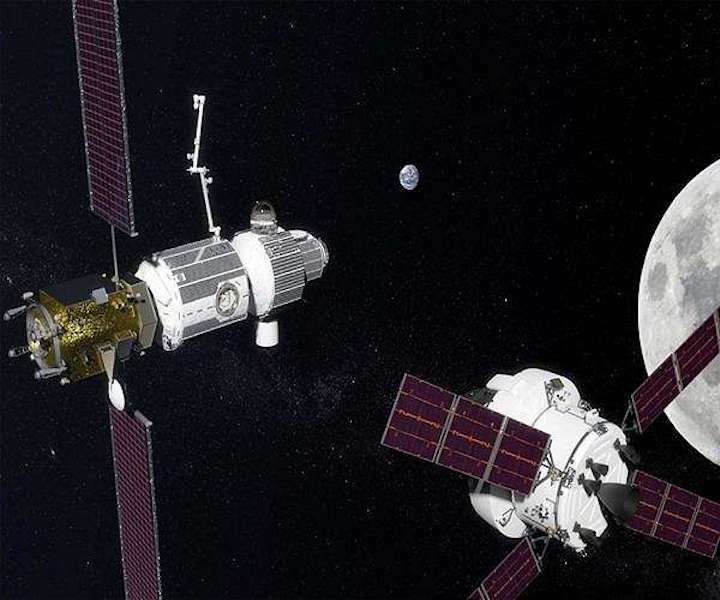 During the first stage, the crew will travel to the Moon, reach its orbit and dock with an orbital station (similar to the Deep Space Gateway project). For two months, participants of the project will observe the surface to choose a landing spot. They are also expected to carry out several dockings with transport ships. The next stage envisages a landing on the Moon and several walks on its surface in spacesuits. After that, the cosmonauts will return to the orbiter and make a flyover before returning back to the Earth. The SIRIUS long isolation experiment will begin in late January next year, Director of the Institute of Biomedical Problems within the Russian Academy of Sciences Oleg Orlov told TASS on Wednesday. SIRIUS (Scientific International Research in Unique Terrestrial Station) is a series of experiments held to prepare for space flights, first of all, to the Deep Space Gateway lunar orbital station. The participants in the research will stay in isolation in the IMBP ground-based experimental module from 17 days to a year. "The four-month isolation experiment is due to begin in late January next year. The eight-month isolation experiment will be conducted in 2019-2020 and this issue is still being discussed," he said. The IMBP’s short-term plans envisage holding a four-month isolation experiment scheduled to begin in late January 2019. The research will be conducted on the Institute’s premises. As specialists say, during the four-month isolation experiment the crew will practice a flight to the Moon. The mission will aim to choose an area for the future construction of a base on the Earth’s satellite. The experiment is part of international SIRIUS missions, which serve to help finish preparations for deep space flights, including flights to planned lunar-orbit space station Deep Space Gateway. "We have received about 50 application from volunteers in Russia, Belarus, India, France, the United States, Japan," Mark Belakovski said. 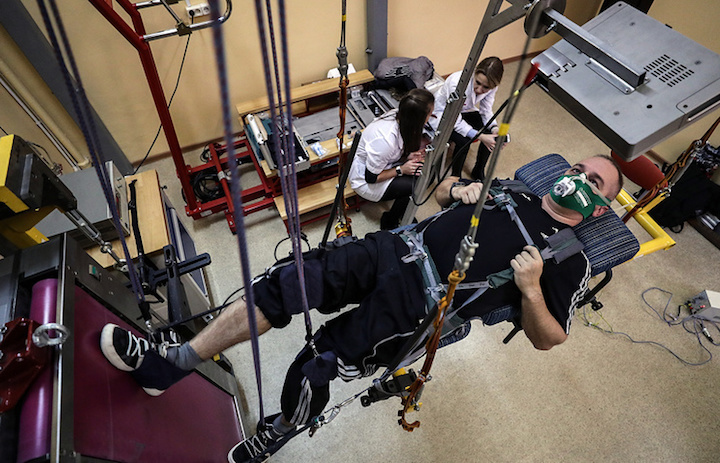 The experiment is being prepared by NASA Human Research Program and Russian scientists. "We expect the crew to include specialists from the center for the Cosmonaut Training Center, spacecraft corporation Energia, scientific-production enterprise Zvezda, and other space industry organizations as well as retired military personnel," Belakovski said. The first long-term experiment of SIRIUS missions will begin in early 2019. Participants will be chosen by September 15, according to Belakovski. The experiment's goals include checking all systems and technologies that help astronauts live and carry out research while away from Earth. 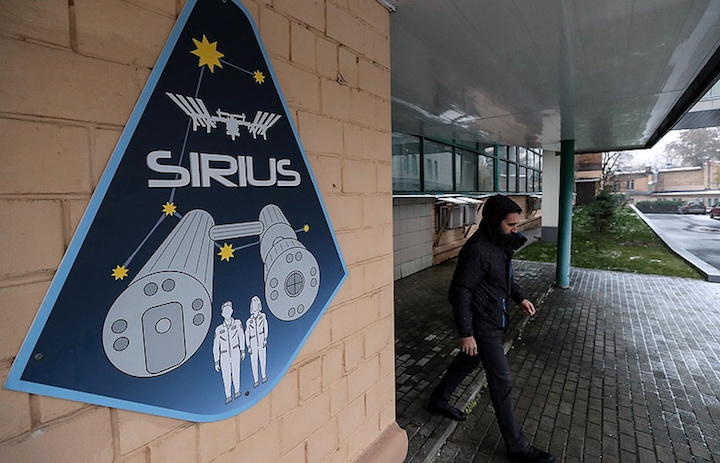 Chief Scientist of NASA Human Research Program Jennifer Fogarty said the main goal of the SIRIUS experiment is "to understand isolation and confinement for a culturally diverse crew"
MOSCOW, December 12. /TASS/. The isolation experiment SIRIUS scheduled to start in March 2019 in Moscow will help better understand who should be included in crews on long space flights, Chief Scientist of NASA Human Research Program Jennifer Fogarty told TASS on the sidelines of the 17th Conference on Space Biology and Medicine held in Moscow. "The big picture from our participation in SIRIUS experiment is to understand isolation and confinement for a culturally diverse crew. What kind of stresses this causes... The goal of experiment is to inform what kind of crew should explore planets," Fogarty said. "All the data show us that we should continue on that trend. Of course, people are comfortable within a single cultural crew. But being comfortable with it doesn't mean it's the right thing. We are trying to challenge some of these norms, but doing so with data, not just with what we feel about it," she added. Fogarty said that there are many risks in space, both individual and collective. "Measuring those changes over time, we will see how we can build countermeasures, how they can be prevented, or if this has happened how could we help the crew members treat themselves, because in the future the missions will be autonomous," she noted. When asked about whether political tensions will affect scientific cooperation between Russian and the US on space, Fogerty said joint work has been relatively unaffected by changes in the political climate. "We have always worked really well together - ISS [International Space Station], SIRIUS. I think planet exploration is possible under international partnership," she concluded.